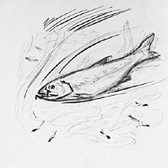 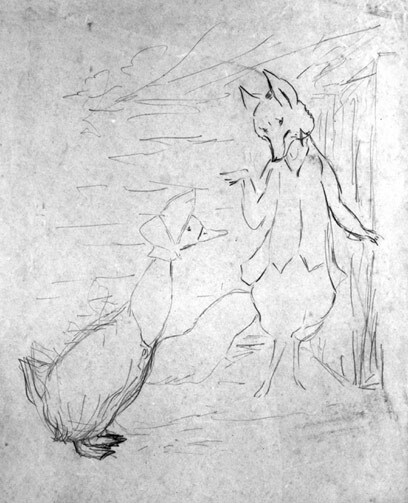 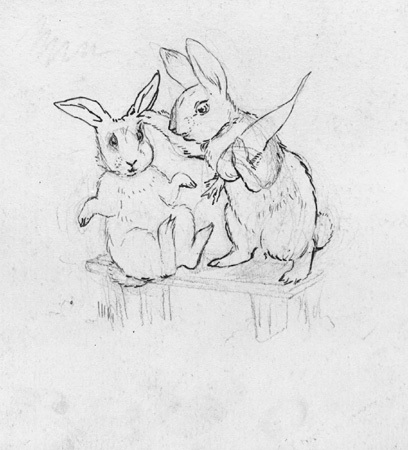 At the age of eight Beatrix Potter was already studying and recording the characteristics of a wide variety of animals, birds and insects in a home-made sketchbook. 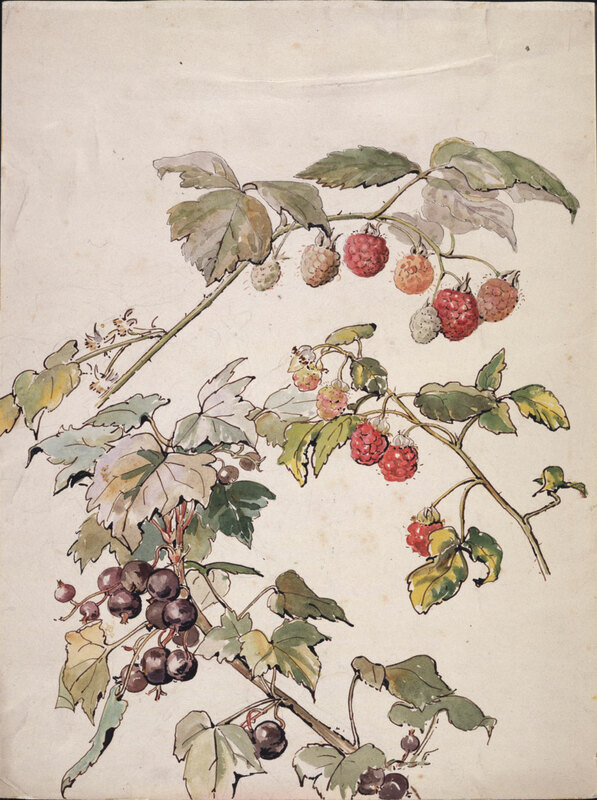 This habit of spending time observing the form and structure of living things continued throughout her childhood and into adolescence. 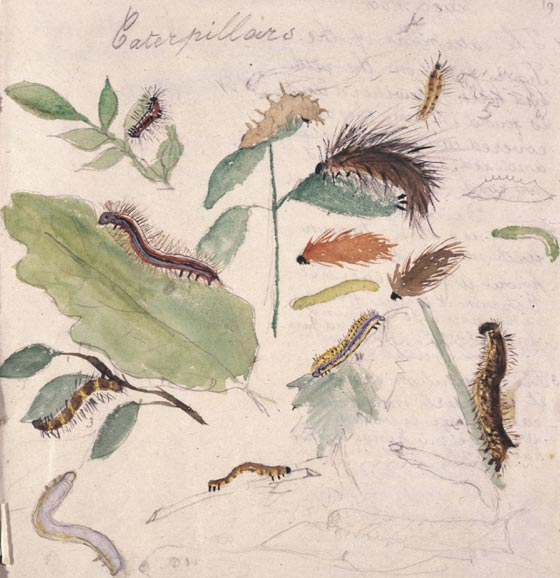 She was particularly drawn to the delicate and complex form of insects, becoming a keen amateur entomologist. 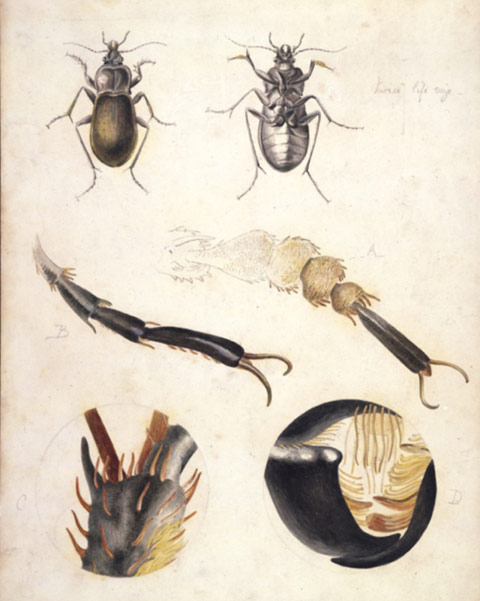 Potter made frequent visits to the Natural History Museum (less than a mile from her home in Bolton Gardens) to study and sketch the insect collection; at home, she learned to prepare slides of specimens to view with her brother's microscope. 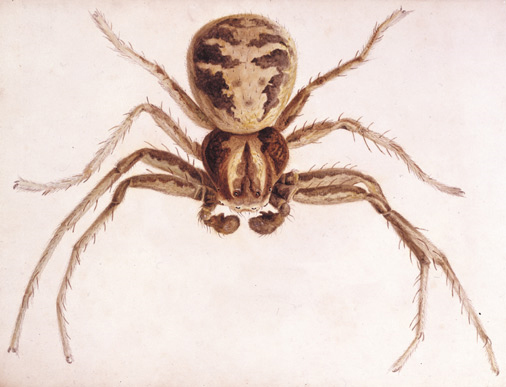 All this painstaking work paid off: Potter developed the eye of an expert investigative scientist, able to draw living creatures with great conviction - throughout her life her work was guided by the principle of portraying nature as accurately as possible. 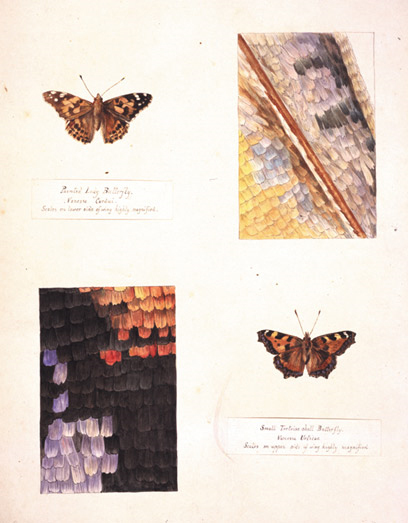 She used a fine, dry brush to define meticulously and minutely the anatomy of even the most delicate specimens. 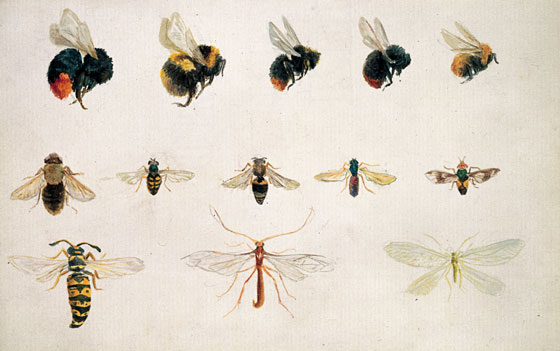 Fascination with scientific accuracy underpins Potter's artistic technique, a bee, beetle, butterfly, ladybird and spider enjoy supporting roles in The Tale of Mrs Tittlemouse. 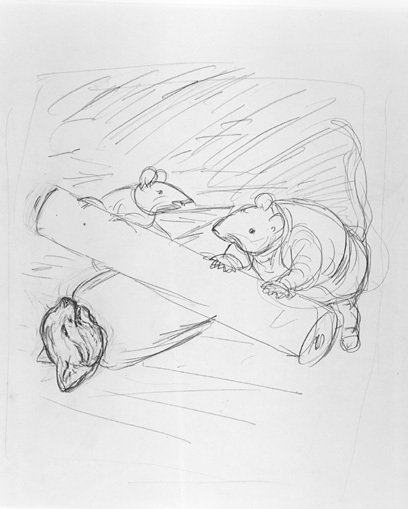 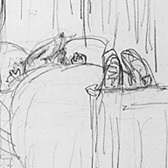 Potter observed them, and her 'most terribly tidy particular little mouse' with astonishing attention to detail. 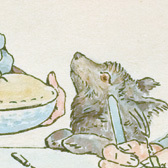 Graham Greene, whose own writing was influenced by his appreciation of the work of Beatrix Potter, described Potter as 'an acute and unromantic observer, who never sacrifices truth for an effective gesture'. 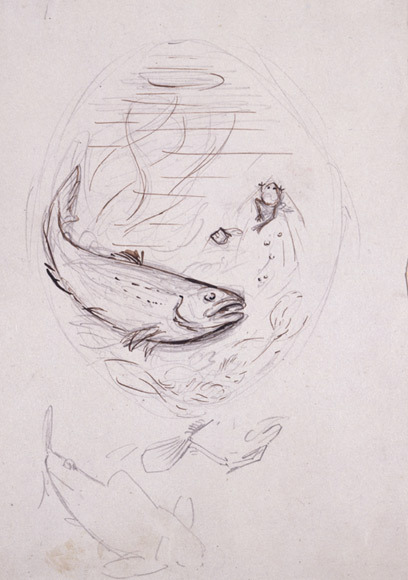 From childhood, Potter both observed and dissected animals in order to discover their precise physiognomy and anatomy. 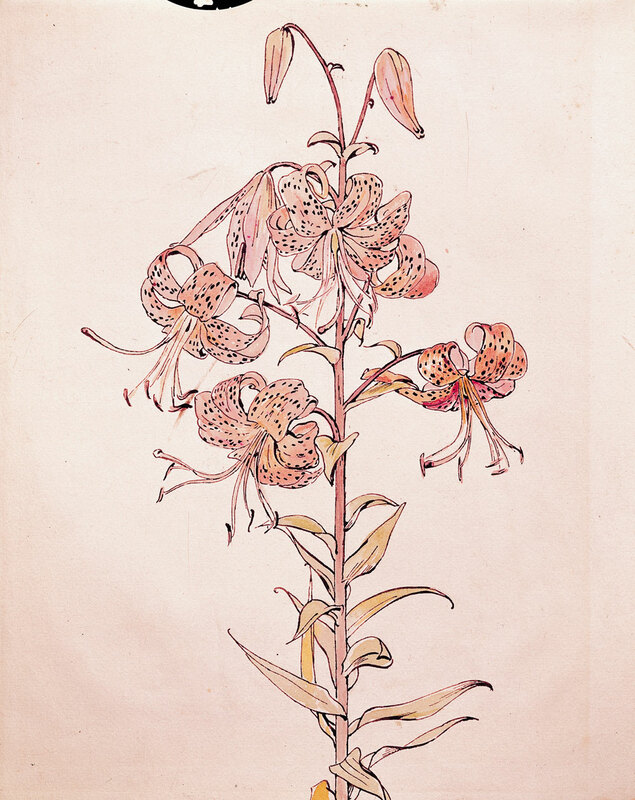 Her early passion for scientific investigation became integral to her method as an illustrator. 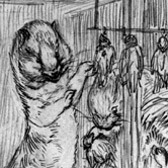 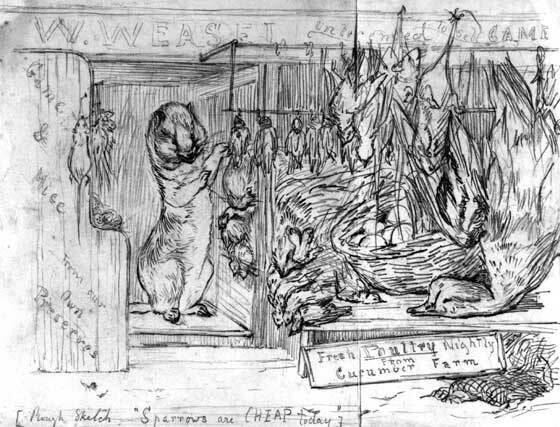 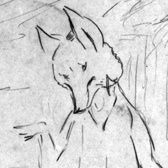 Unlike many of her contemporaries, Potter never resorted to caricature or the grotesque - her first concern was always to remain faithful to the true likeness of the animals. 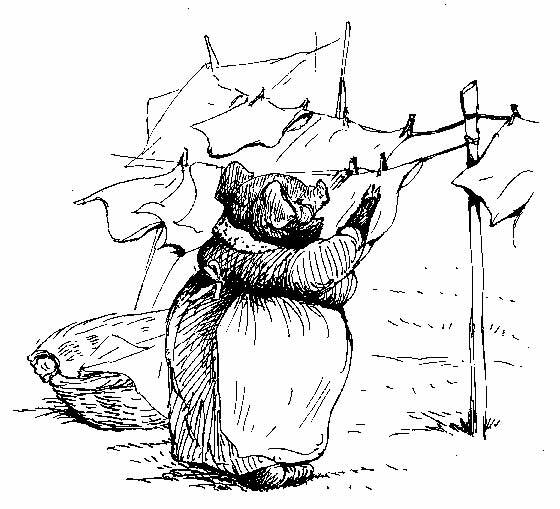 Potter's humour, both subtle and sophisticated, is based on the familiar, domestic happenings of everyday life, such as baking, shopping and spring-cleaning. 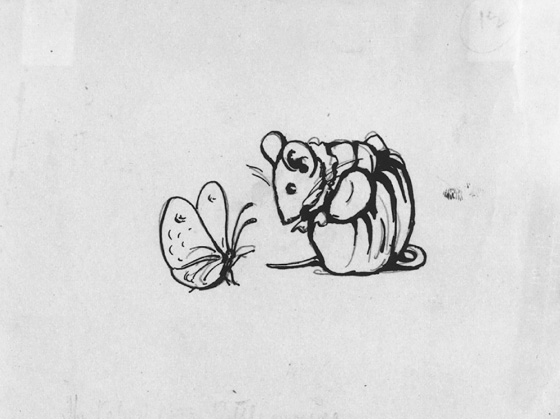 Yet there is often a sinister undercurrent to her composed and elegant prose. 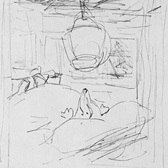 Her treatment of violence and death is often surprisingly blunt - Potter is rarely concerned with morality. 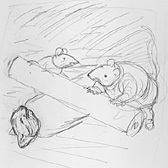 Hours spent observing the way nature operates meant she was a realist: she knew animals kill other animals, that life was full of strong instincts and potential threat. 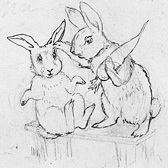 It was this attitude that allowed her to create wry and slightly detached stories about a world where cats long to eat mice, rats terrorise kittens, rabbits can end up in pies. 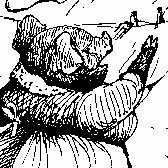 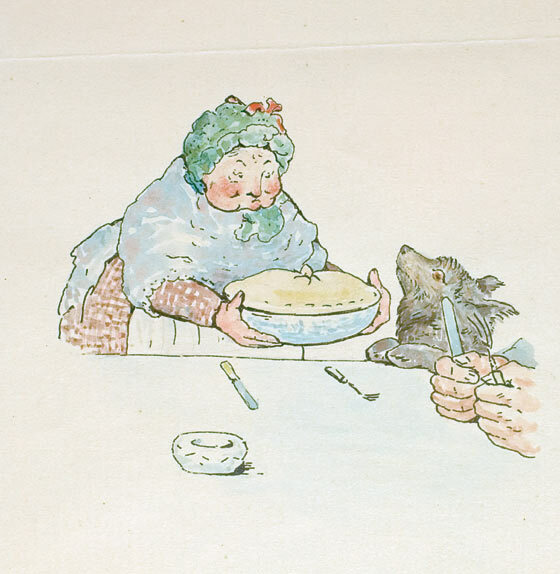 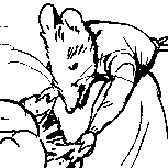 'Anna Maria,' said the old man rat (whose name was Samuel Whiskers), 'Anna Maria, make me a kitten dumpling roly-poly pudding for my dinner.' 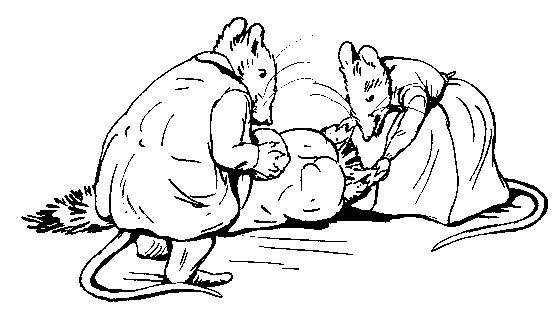 […] First they smeared him with butter, and then they rolled him in dough. 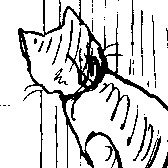 […] Anna Maria wished that Tom Kitten would hold his head still, as it disarranged the pastry. 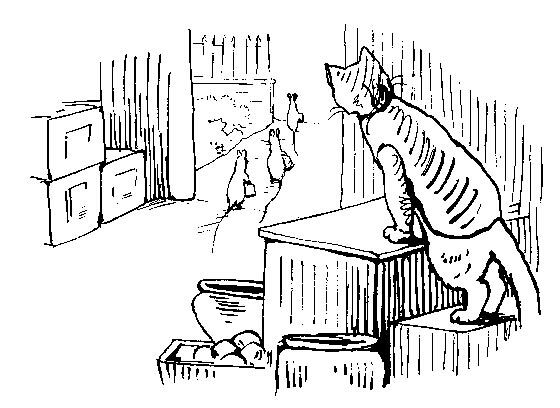 At last Mr. Tod's preparations were complete. 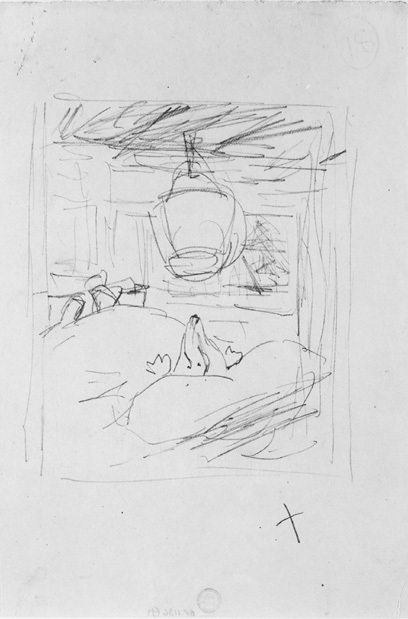 The pail was full of water; the rope was tightly strained over the top of the bed, and across the window sill to the tree outside. 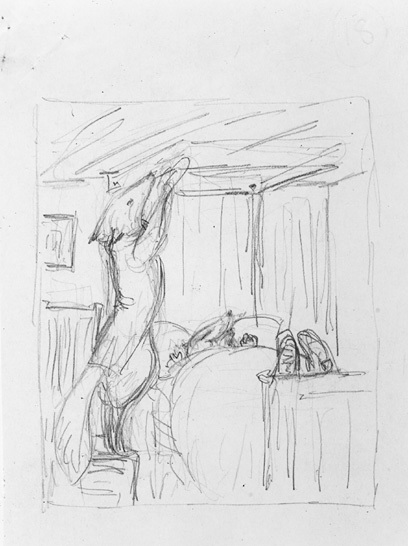 'It will make a great mess in my bedroom; but I could never sleep in that bed again without a spring cleaning of some sort,' said Mr. Tod. 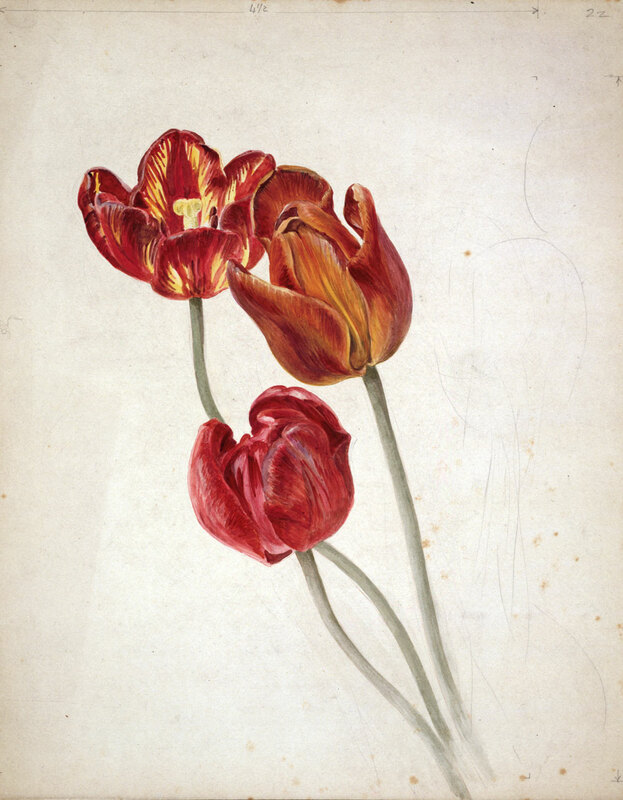 Flower painting was a conventional subject for a girl of Beatrix’s class. 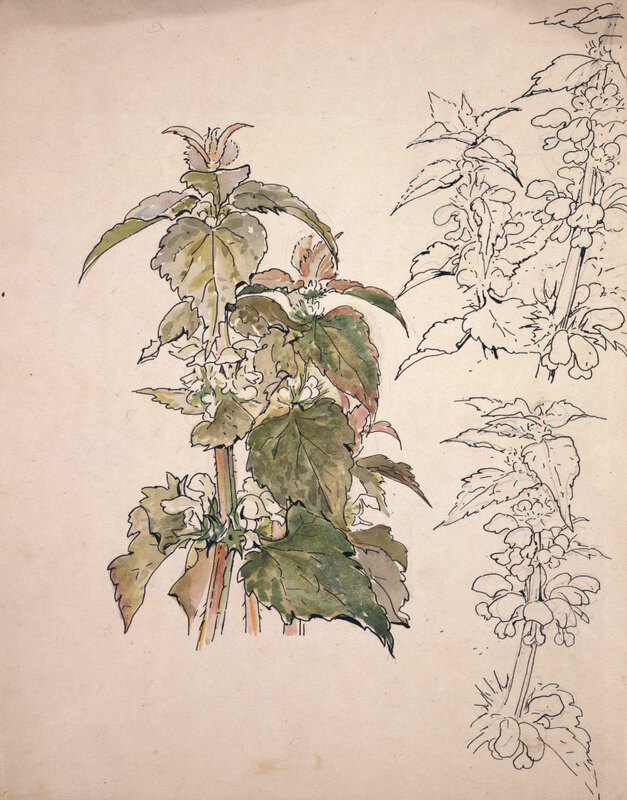 From a young age she drew inspiration from books such as John E. Sowerby’s British Wild Flowers, a lavish present from her grandmother, and Vere Foster’s popular drawing manuals. 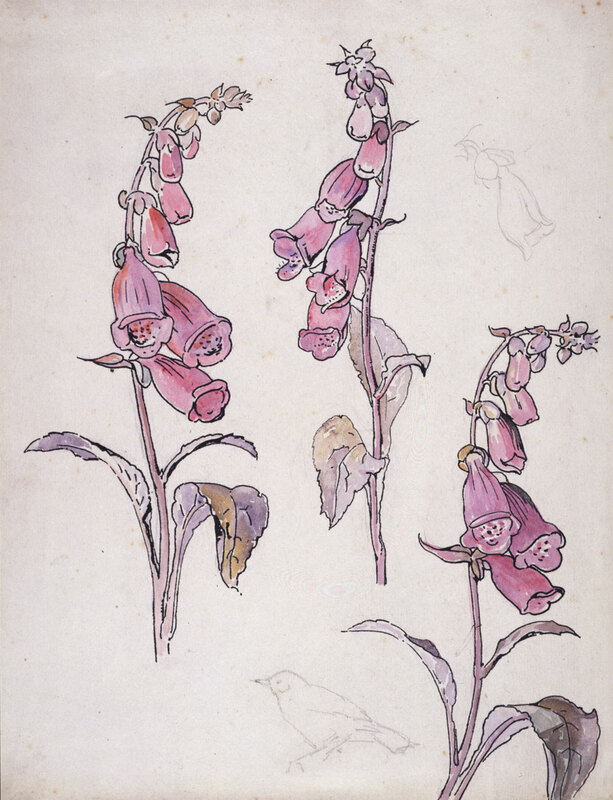 Mostly, however, Beatrix shared the Pre-Raphaelites’ passion for the ‘meticulous copying of flowers & plants’ from life. 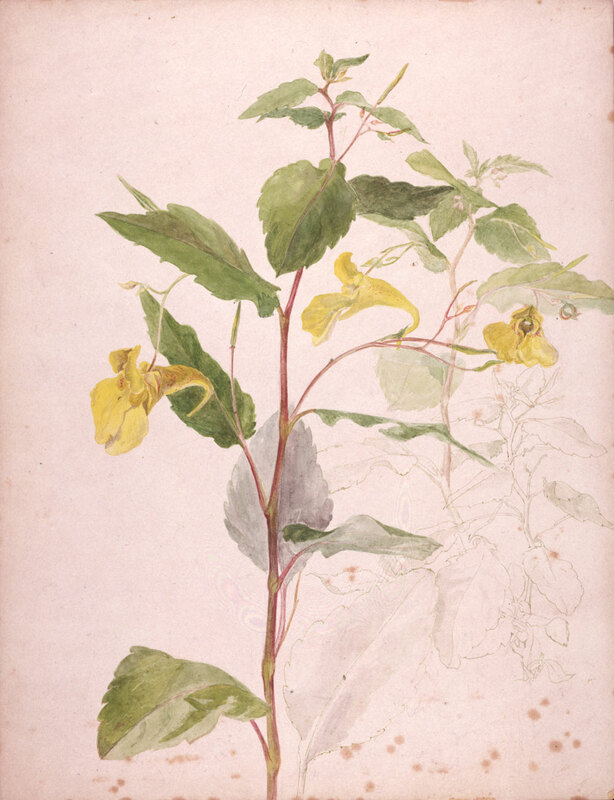 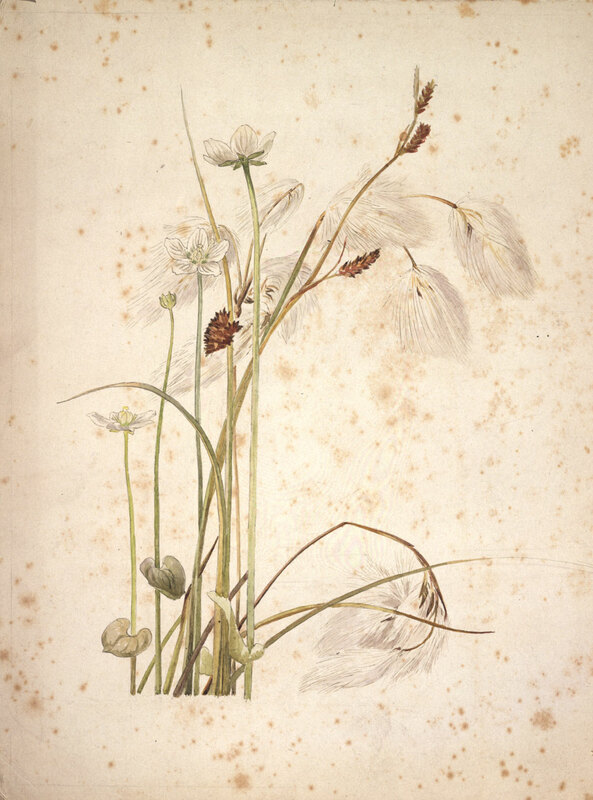 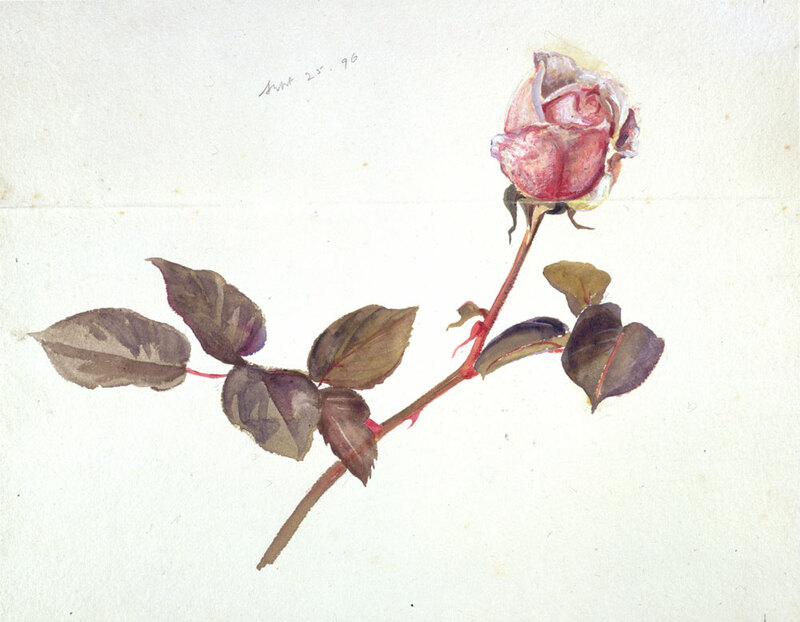 These drawings blend characteristics of botanical illustration, concerned with the accurate depiction and identification of plants, with those of flower painting, a genteel art celebrating the beauty of nature. 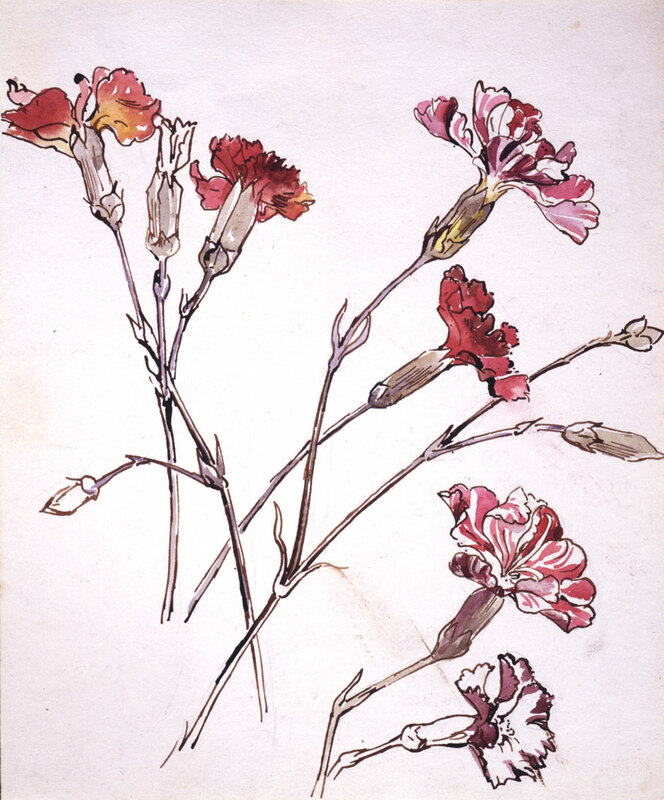 Whether drawing for serious study or for enjoyment Beatrix combines scientific detachment with a keen sense of wonder and an expert appreciation of composition and design. 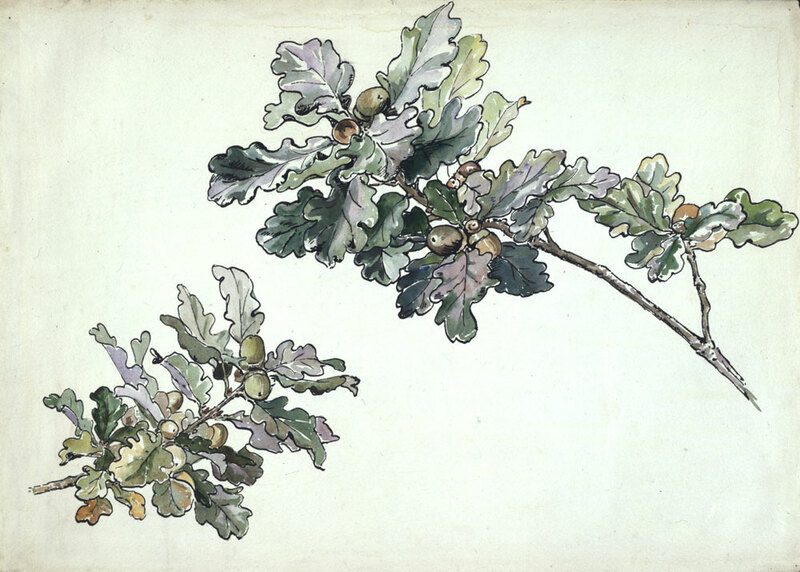 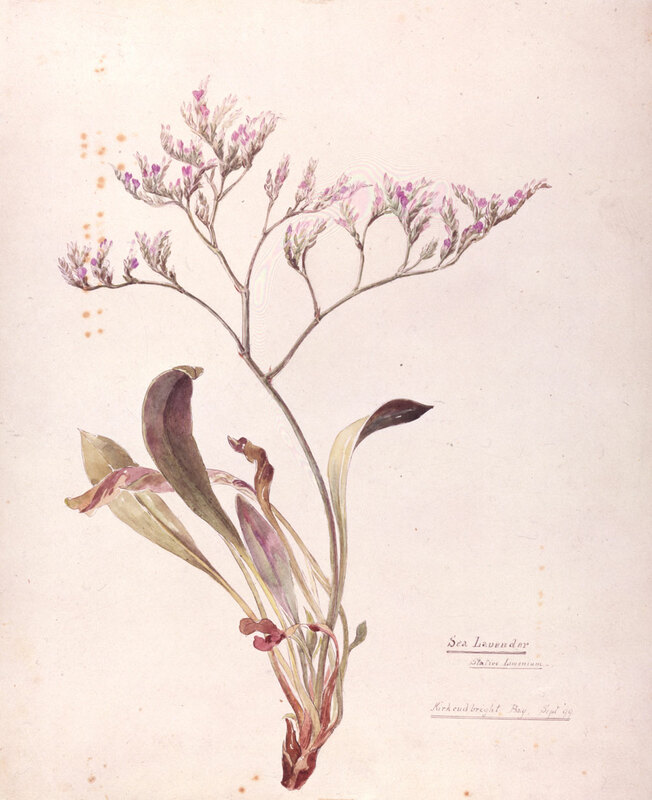 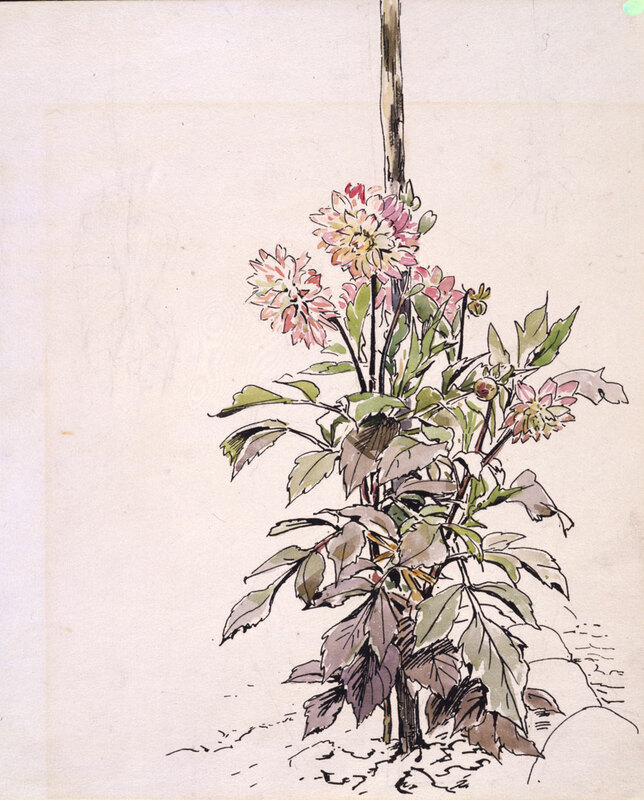 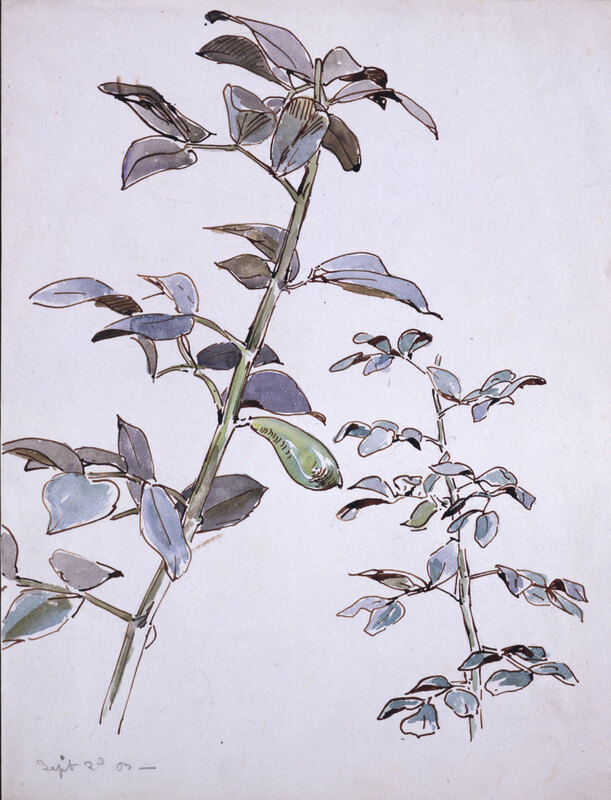 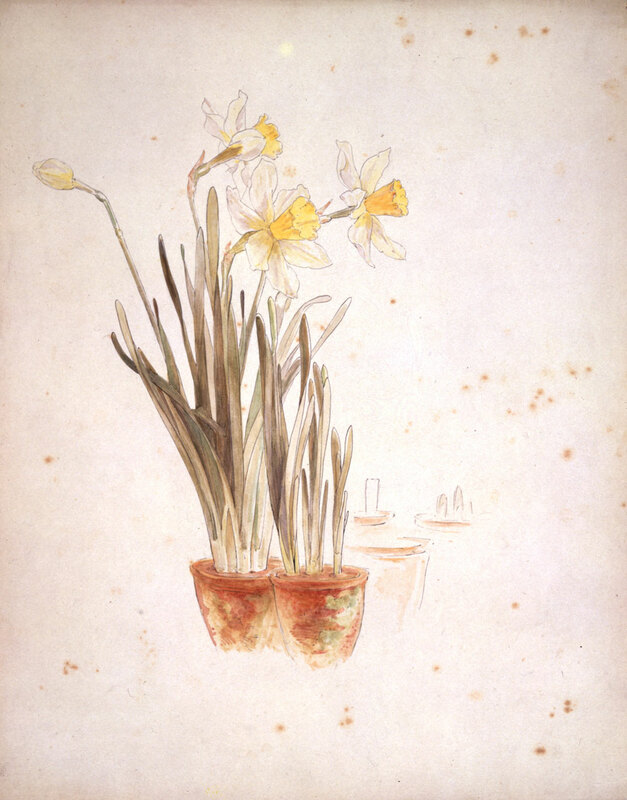 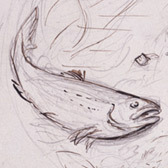 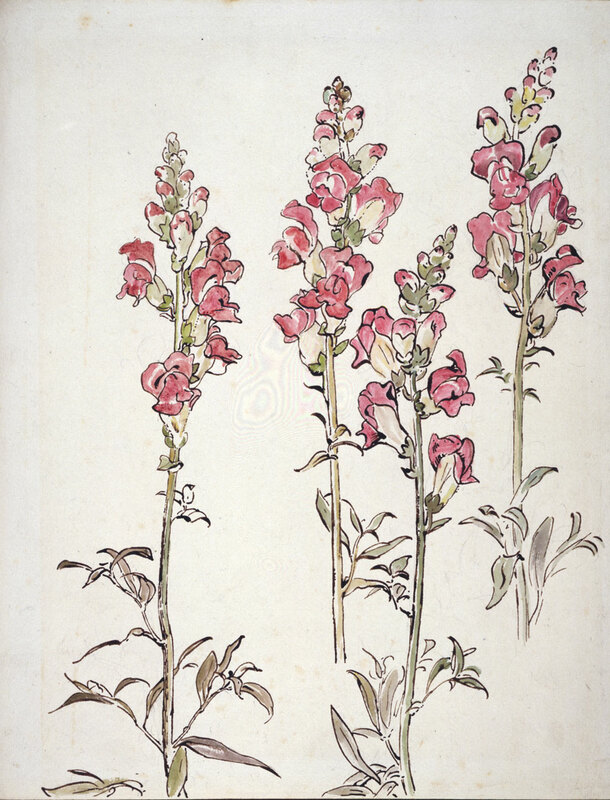 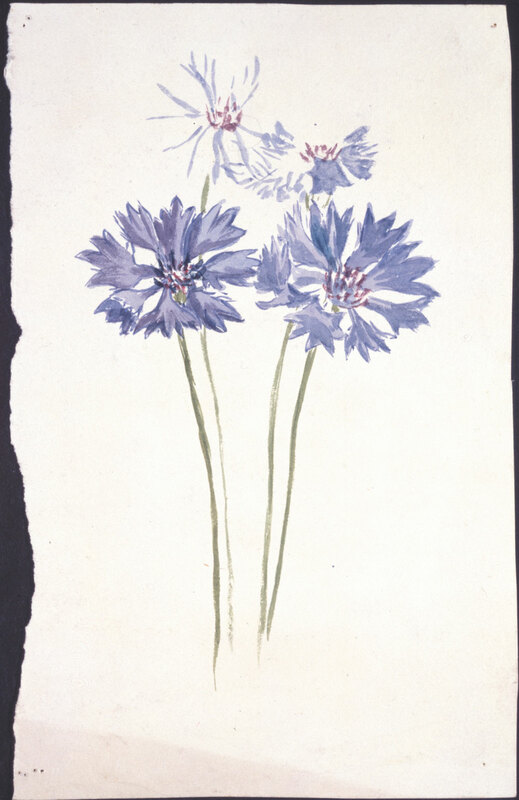 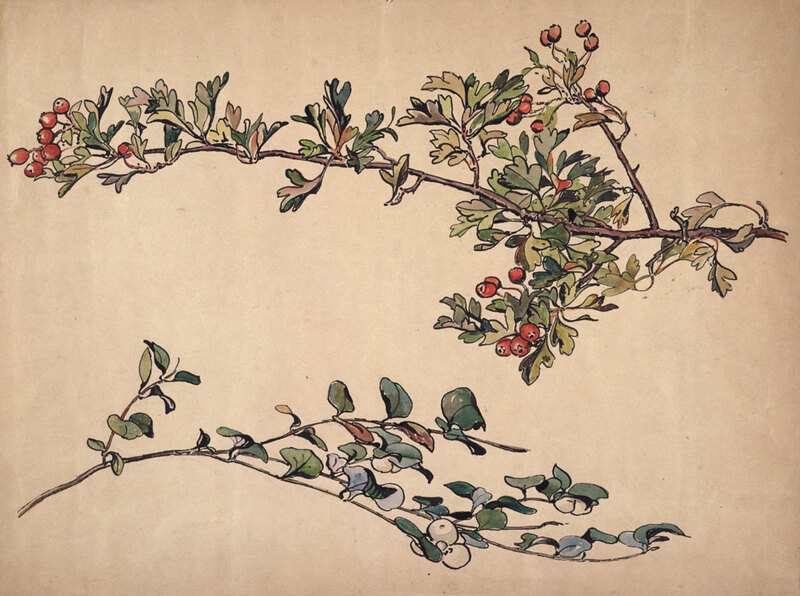 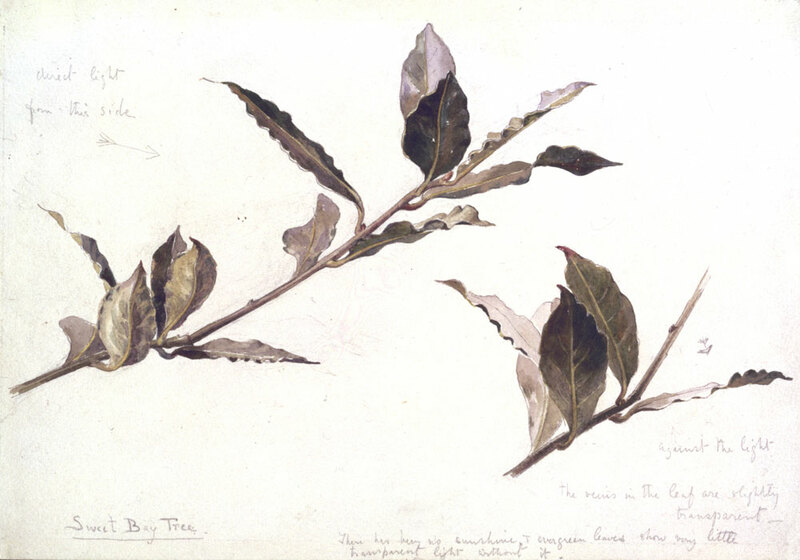 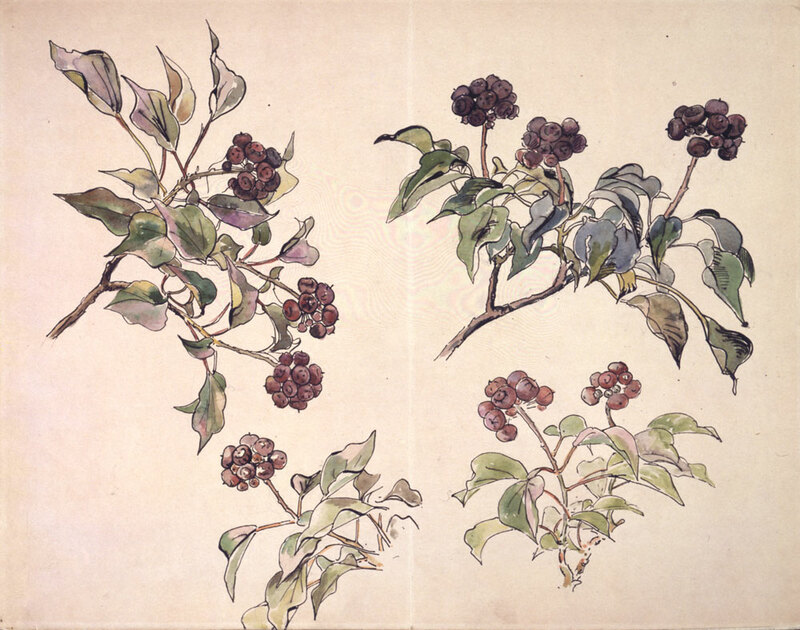 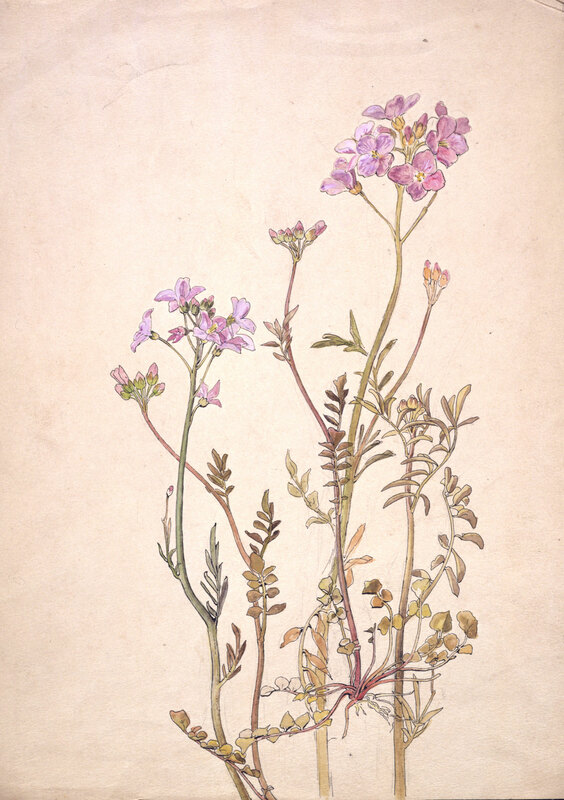 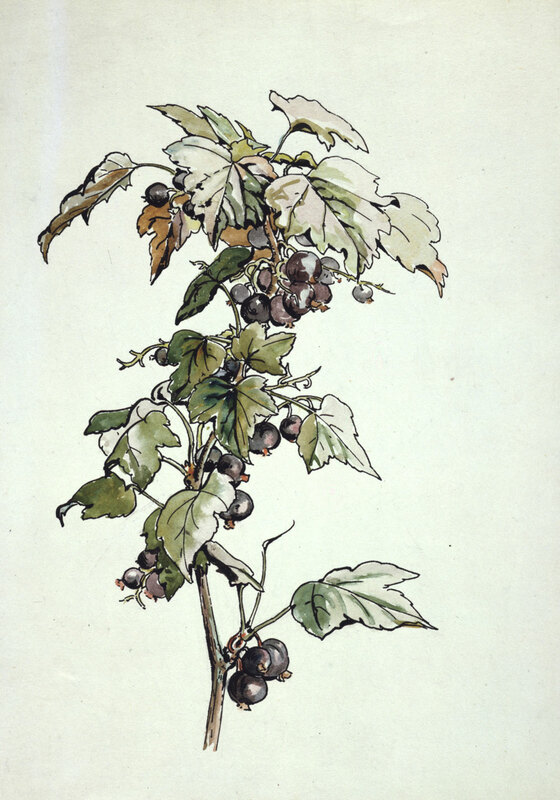 Beatrix later remarked that the ‘careful botanical studies of my youth’ informed the ‘reality’ of her fantasy drawings. 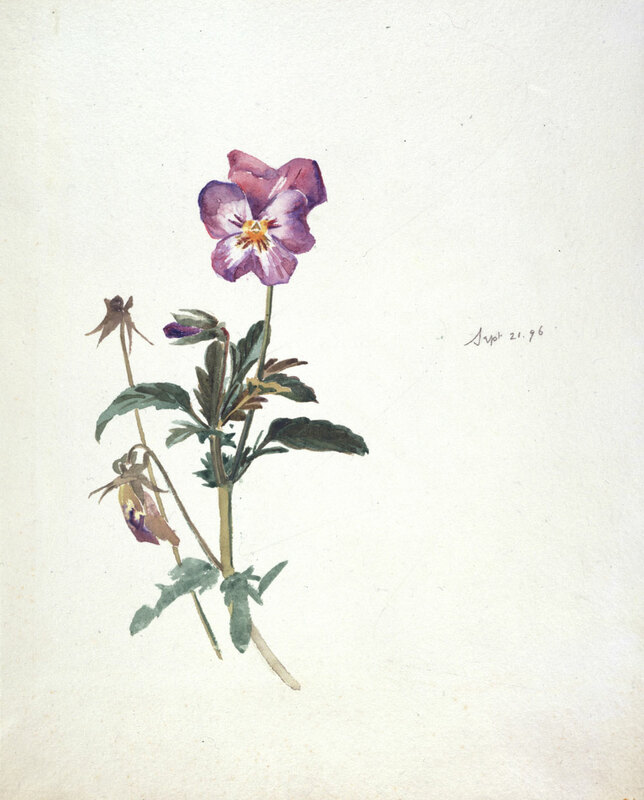 Precisely drawn flowers people her prettiest and best known books: geraniums in The Tale of Peter Rabbit; carnations and fuchsias in The Tale of Benjamin Bunny; water lilies in The Tale of Mr. Jeremy Fisher; foxgloves in The Tale of Jemima Puddle-duck, and an abundance of lilies, pansies, roses and snapdragons in The Tale of Tom Kitten.